With the exception of Finland's SM-liiga, all of the top leagues in Europe have either just completed their regular season or have already begun the playoffs. The European circuits all conclude their championship rounds around the time the Stanley Cup Playoffs get underway in the NHL. This is done in order to allow national teams preparation time for getting their preliminary rosters ready for the annual IIHF World Championships. Following is the postseason outlook in the top fou rEuropean elite leagues: Finland, Sweden, Russia and Czech Republic. The SM-liiga regular season concludes March 13, and the playoffs get underway four days later. Under Finland's playoff format, the top six teams during the regular season get a bye into the quarterfinals, while the teams from No. 7 to No. 10 play a best-of-three qualification series (No. 7 seed vs. No. 10 and No. 8 vs. No. 9) to advance to the quarters. The quarterfinals, semis and championship round are all best-of-seven series. At 60 games, the Finnish regular season is the longest of any of the major European leagues. Through Tuesday, all teams have either three or four games remaining on their schedules. There is still plenty up for grabs. 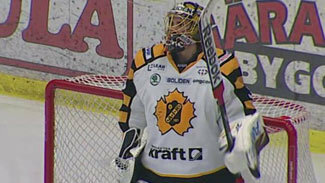 KalPa Kuopio is still trying to lock up first place and guaranteed home-ice advantage throughout the playoffs. The club, which is owned in majority by former NHL player Sami Kapanen (13 goals, 35 points in an injury-laden comeback from retirement), is trying to stave off Pelicans Lahti (owned by former NHL goaltender Pasi Nurminen, who also serves as the club's goaltending instructor). KalPa holds a two-point advantage for the top spot on the Pelicans. Lahti has been dealing with the absence of star goaltender Niko Hovinen, who has been out of the lineup with a hip injury, but is slated to return to the lineup for the playoffs. There are also extremely tight battles for sixth-place and the No. 10 spot taking place during the final week of the regular season. Ässät Pori currently has a one-point advantage on Jokerit Helsinki for the sixth and final guaranteed spot in the quarterfinals. The clubs will clash head-to-head Friday. Meanwhile, there is a four-way free-for-all in the struggle for the final two postseason berths. Ninth-place Lukko Rauma is in the best position to make the playoffs with 75 points and a game in hand on all three of their closest competitors. Tenth-place TPS Turku has a skinny one-point lead on both SaiPa Lappeenranta and Tappara Tampere. In terms of individual honors, Pori's Tomas Zaborsky and Pelicans forward Ryan Lasch are tied for the league scoring lead with 59 points, but Zaborsky is well ahead in the goal-scoring department (35 to 22). Eric Perrin (JYP Jyväskylä) has been the league's top playmaker with 39 assists. HIFK Helsinki's Toni Soderholm leads all defensemen in the league with 41 points, while Pelicans blueliner Markus Seikola (14 goals, 9 power-play goals) has scored the most goals. Blues Espoo goalie Petri Koivisto leads the league in save percentage (.937) while JYP's Riku Helenius tops the league in both goals-against average (1.68) and shutouts (six). Sweden's Elitserien wrapped up its regular season Tuesday. Buoyed by the league's stingiest defense (1.89 goals-against per game), Luleå HF was the only team in the league to hit the 100-point mark during the 55-match regular season. The club will look for its first championship since veteran goalie Jarmo Myllys, two-way playmaking wizard Stefan Nilsson and young power forward Tomas Holmstrom lifted the team to the title in 1996. Most of the teams in playoff position have been more or less locked into their spots for the last week or so. Modo Hockey Örnsköldsvik, which barely avoided relegation last year, squeaked into the final playoff spot. In the Swedish league, the top three finishers in the league have the opportunity to select their first-round opponent. This has the potential to lead to embarrassing situations, such as last year when lightly regarded AIK Stockholm pulled off a shocker by not only beating odds-on championship favorite HV 71 Jönköping in the first round, but sweeping the series in four games. The quarterfinal series will pit Luleå against seventh-place AIK, while second-seeded Skellefteå AIK will take on Modo. Third-ranked HV 71 will take on defending champion Färjestads BK (sixth place) in what is considered the marquee matchup of the first round. The other series will see fourth-ranked Brynäs IF Gävle take on Frölunda HC Gothenburg. In the meantime, the storied Djurgårdens IF Stockholm team has suffered the ignominy of having to play in the qualification series (Kvalserien) to avoid relegation and maintain their spot in the Elite League for next season. On the final day of the regular season, DIF dropped a 2-1 road decision to finish No. 10. Ninth-place Linköpings HC is done for the year but will automatically keep their Elitserien spot next season despite losing via shootout to Modo in the final game. LHC will start next season with a new coach after Harald Luckner was relieved of his duties. Shifty AIK center Robert Rosen finished as the league's leading scorer in the regular season, potting 21 goals and 39 assists for 60 points while dressing in every game. Linemate Richard Gynge was the primary beneficiary of many of Rosen's setup passes, topping the league with 28 goals. Brynäs Ryan Gunderson (9 goals, 34 points) led all defenseman in overall scoring while Ilkka Heikkinen of the Växjo Lakers racked up 18 goals (11 on the power play) but was a minus-7 defensively. The top four goaltenders in the league this season were Frölunda's Frederik Andersen, SAIK's Joacim Eriksson, AIK's Viktor Fasth and LHF's Johan Gustafsson. Not surprisingly, all four of their respective teams are in the playoffs. Andersen finished the season with the lowest GAA (1.67), highest save percentage (.941) and the most shutouts (seven). The KHL wrapped up its 54-game regular season Feb. 26. To date, three teams have already wrapped up their best-of-seven quarterfinal series and are awaiting semifinal opponents. With one exception, the higher-seeded team in both conferences have either clinched the series or is one win away from doing so. SKA St. Petersburg, the top seed in the Western Conference, had little trouble taking out CSKA Moscow in five games. SKA outscored its opponent by a combined 20-6 margin, including a 5-0 shutout in the clincher. Third-seeded Dynamo Moscow swept Dinamo Minsk. Second-seeded Torpedo Nizhny Novgorod holds a 3-2 series lead against Dinamo Riga, while fourth-ranked Atlant Moscow Oblast is up 3-2 on Severstal Cherepovets. In the Eastern Conference, second-seeded Avangard Omsk quickly swept its quarterfinal series, while top-ranked Traktor Chelyabinsk holds a three-games-to-one series advantage on Yugra Khanty-Mansiysk. Third-seeded Metallurg Magnitogorsk finds itself in a 3-1 hole against Barys Astana, while Ak Bars Kazan is up 3 to 1 on Salavat Yulaev Ufa. Torpedo Nizhny Novgorod forward Mikhail Varnakov has been the big scoring star of the first round. He has racked up five goals and eight points through the first five games of the quarterfinals. The 27-year-old left winger tallied 12 goals and 22 points in 48 regular season games. Salavat Yulaev Ufa forward Alexander Radulov led the league in scoring and assists during the regular season with 63 points (25 goals, 38 assists) in 50 games. Brandon Bocheneski, now in his second season with Barys Astana, was the leading goal-scorer with 27 in 49 games. Teammate Kevin Dallman led all defensemen in the league with 18 goals and 54 points. Meanwhile, Tony Martensson of SKA not only racked up 22 goals and 59 points, he also by far led the circuit in the plus-minus category with an impressive plus-35 rating. Torpedo Nizhni Novgorod goaltender Vitali Koval's 1.75 GAA in 30 starts was the best in the league, while his .930 save percentage tied Alex Murygin (Amur Khabarovsk) and Mikhail Biryukov (Yugra Khanty-Mansiysk) for the highest in the league. Biryukov's six shutouts tied two other goaltenders for the most in the league. HC Sparta Prague rode the third-highest scoring offense and the best goaltending and defense to a comfortable first-place finish in the recently completed 52-game Czech Extraliga regular season. The club has made a dramatic one-year turnaround from last year's 12th-place finish. With 107 points, Sparta concluded the regular season with eight more points than second-place HC Plzen 1929. Now the challenge will be for Josef Jandac's club to translate regular-season dominance into the ninth championship in franchise history. Sparta will take on eighth-seeded HC Kometa Brno in the quarterfinals of the playoffs. Brno is coming off a best-of-five sweep against HC Rytiri Kladno (owned by Philadelphia Flyers right winger Jaromir Jagr). In the deciding game, Kladno took a 3-1 lead into the third period but goals by Radek Dlouhy and Roman Erat in the latter stages of the period forced overtime. Finally, Vojtech Nemec scored the miniseries clincher for Brno. In the other playoff qualifying miniseries, PSC Zlin needed the full five games to overcome HC Ocleri Trinec. Two-goal efforts by Marek Melenovsky and Ondrej Vesely led the way for Zlin in the 4-2 clinching win. The club now has a best-of-seven quarterfinals date with Plzen. The other two quarterfinal series will pit HC Pardubice against HC Vitkovice Steel and Bili Tygri Liberec against HC Mountfield Ceske Budejovice. Forty-year-old Liberec center Petr Nedved defied his age by leading the Extraliga in overall scoring (61 points) and assists (37) during the regular season. HC Karlovy Vary's Petr Kumstat topped the league with 27 goals. Liberec's Marek Trocinsky led all defenseman in scoring with 28 points. Sparta goalie Tomas Popperle was a revelation during the regular season, leading the league in GAA (2.02), save percentage (.935) and shutouts (six).